Stephanie Greene is an associate professor of business law with tenure at the Carroll School of Management at Boston College. She has been teaching at Boston College in the undergraduate and graduate business programs since 1994. Ms. Greene is currently the Director of the Honors Program in the Carroll School of Management. 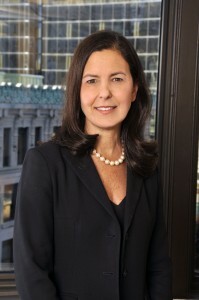 She currently serves on the Board of Editors of the American Business Law Journal. Her recent publications include: “Employee Threshold on Federal Antidiscrimination Statutes: A Matter of the Merits,” Kentucky Law Journal (2007) (with C. O’Brien); “Who Counts? The United States Supreme Court Cites ‘Control’ as the Key to Distinguishing Employers from Employees under Federal Employment Antidiscrimination Laws” Columbia Business Law Review (2003) (with C. O’Brien); “Partners and Shareholders as Covered Employees under Federal Antidiscrimination Acts” American Business Law Journal (2003) (with C. O’Brien); INTERNATIONAL SALES LAW, Cambridge University Press (2005) (with L. DiMatteo, G. Maurer, and M. Pagnattaro); “False Claims Act Liability for Off-Label Promotion of Pharmaceutical Products” Penn State Law Review (2005); “A Prescription for Change: How the Medicare Act Revises Hatch-Waxman to Speed Market Entry of Generic Drugs” Journal of Corporation Law (2005); “Sorting Out ‘Fair Use’ and ‘Likelihood of Confusion’ in Trademark Law” American Business Law Journal (2006), “Protecting Well-Known Marks in China: Problems and Progress,” invited book chapter in THE GLOBAL CHALLENGE OF INTELLECTUAL PROPERTY RIGHTS, Subhash C. Jain & Robert C. Bird, eds., Elgar Press, Cheltenham UK (2008). Ms. Greene is a graduate of Princeton University, 1980, and Boston College Law School, 1984.